Photo courtesy of Dan Volker and Project Seahorse. 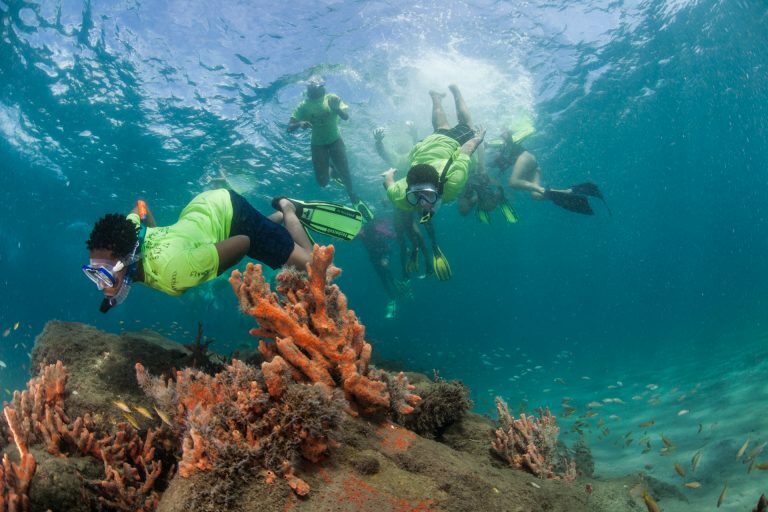 After weeks of improving their swimming skills and learning snorkeling techniques, many of these kids took to the sport like old pros! Even campers who started their summer as begging-level swimmers were diving under water to take a closer look at at a horseshoe crab, or pointing out the outline of a ray nestled in the sand. The program, taught over weeks of summer camp, incorporates kids with skills ranging from beginning swimmers to experienced snorkelers. Diversity in Aquatics, a non-profit group dedicated to teaching and encouraging kids to swim, donated their time instructing swim lessons during camp pool sessions. 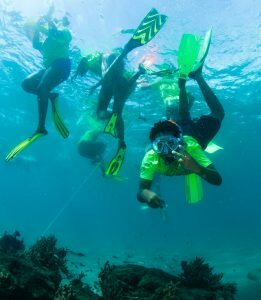 Scuba and free-diving pros help campers perfect their snorkeling, teaching skills like kicking with fins, diving down, and clearing their snorkel upon surfacing. 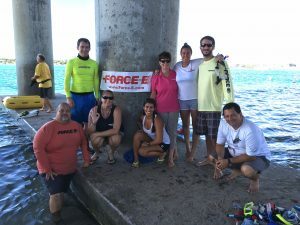 Snorkeling gear is donated for the day by local shops like Force-E. This allows campers to move their skills from the pool to Florida’s waterways under the supervision of experienced professionals. Although campers may have previously visited Phil Foster Park, many had never seen below the water's surface. Through Project Seahorse, kids are inspired to explore the outdoors and learn about the amazing animals living all around them! To learn more about this great community program, visit http://projectseahorse-bhb.org/mission-statement.htm. You can also support Project Seahorse by becoming a sponsor, donor, or volunteer! Want to get the most out of your own adventure at the Blue Heron Bridge? Sign up for a private guided tour. Photographers can take their skills to the next level with PADI’s Underwater Photography course. Sign up for one of our FREE upcoming Blue Heron Bridge Night dives to explore the world of active nocturnal critters like octopus, lobsters and snowflake eels!